I thought I'd share these with you all. This is my private collection of which I'm very proud of. LOVE this series and can't wait for JW2! 9 Responses to My Jurassic Room! Sorry for the bad pic quality. Should have taken more. The soundtrack for JP is just amazing. Man, what an awesome time to grow up in. I actually HATE hollywood for not being able to replicate the authentic feel of the first 2 movies. 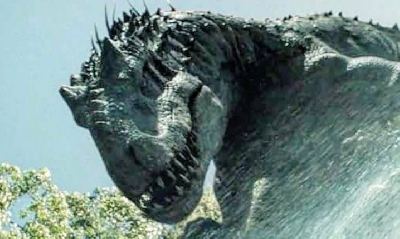 Imo, Jurassic World was just another kick in the teeth so that you almost wished you weren't a fan of this franchise. It just did everything wrong... What a flee circus. I have no hopes at all for JW2. Well that's quite a collection. I liked JW, but I agree it's not as good as the first two. JW is defiantly better than JP3. 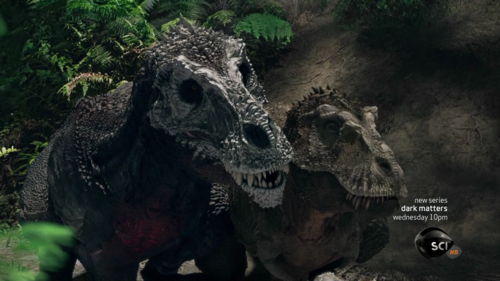 JP3 (IMO) isn't a bad movie but it's by far the weakest installment. BubbaGumpJr commented on Expect even more practical Dinosaur effects in Jurassic World 3! from the Jurassic World 2 website! 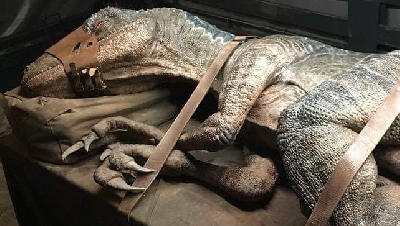 Chris posted a new editorial: Expect even more practical Dinosaur effects in Jurassic World 3! TheLazyFish replied to Spinosaurus in JW3! Alphadino65 replied to Spinosaurus in JW3! Sympharia Moon replied to Spinosaurus in JW3! 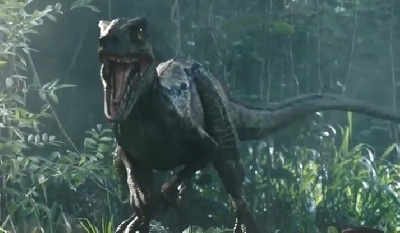 edna modes commented on Jurassic World 2 will parallel the treatment of modern animals! from the Jurassic World 2 website! matt hummel commented on Two new Jurassic World viral videos hit the web! from the Jurassic World 2 website! matt hummel commented on Bryce Dallas Howard comments on the direction of future sequels! from the Jurassic World 2 website! ZillaDude345 replied to Spinosaurus in JW3! 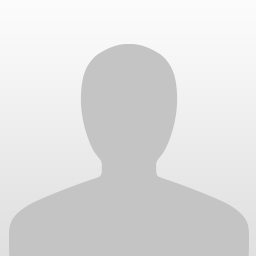 Alphadino65 started a new discussion: Carnivorous Struthiomimus? Alphadino65 started a new discussion: Is Scotty the largest T.rex yet? Alan Baltes commented on Universal are now casting for Jurassic World 3 and YOU can audition for a role! from the Jurassic World 2 website! Chris posted a new editorial: Upcoming Prime 1 Studio Jurassic Park and Jurassic World statues! Ashland Hagedon commented on BREAKING: Colin Trevorrow will direct Jurassic World 3! from the Jurassic World 2 website! 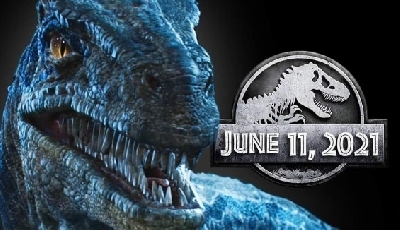 JurassicWorld3.net aims to provide fans of the Jurassic Park and Jurassic World film franchises with up to date, accurate news on all things Jurassic! Images, titles and other media are copyright their respective owners. This is a fan website created by Jurassic Park fans for Jurassic Park fans.